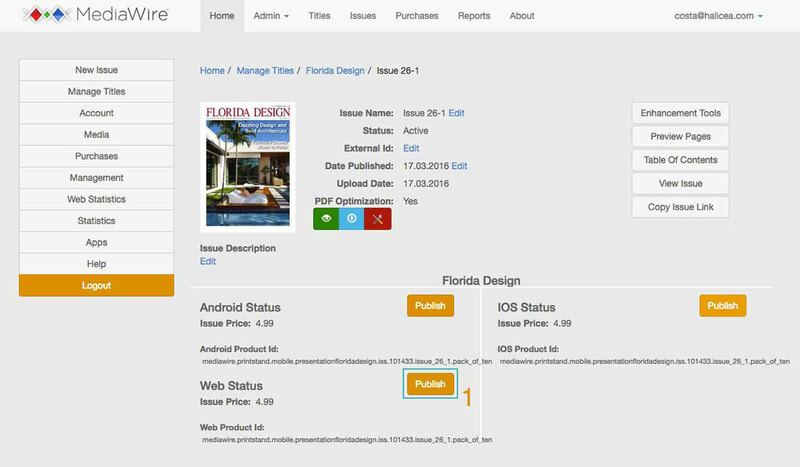 To navigate to your issue click the “Manage Titles” button on the left, click on the cover image for the title which the issue in question is under and then click on the cover of the issue you wish to publish. 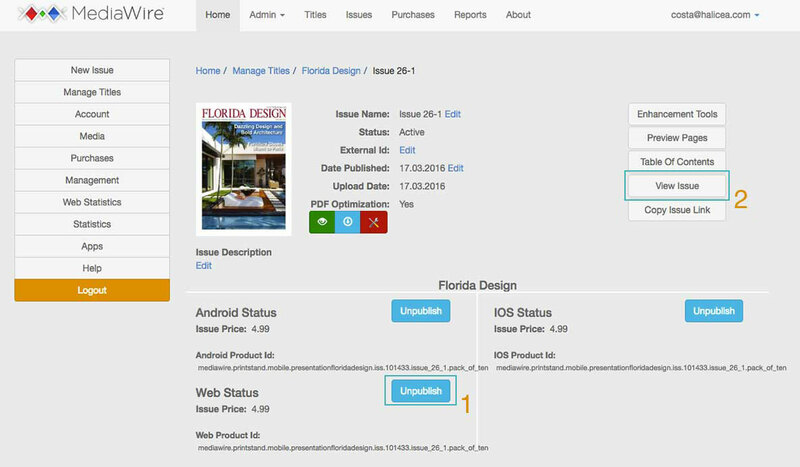 Once the issue has optimized, you will need to click the orange “Publish” button  which will appear below the issue cover, beside the “….Status” in order to make that issue URL active. Once Published, press the “Go To Issue” button  in order to view your issue. 1. When logged into your account, click on “Manage Titles” and navigate to the title you wish to view and click on “Go To Bookshelf” .